Our guest blogger has had a long and illustrious career studying wildlife and ecology. 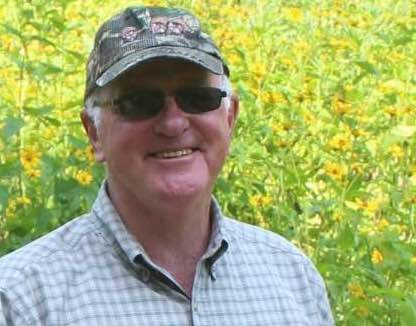 He spent several decades with the U.S. Forest Service as a research wildlife biologist and fifteen years as a professor at Louisiana Tech University. His accomplishments, awards and publications are numerous. Dr. Dickson is especially well known for his book: The Wild Turkey: Habitat and Management and will speak about turkeys on August 14 at 8 p.m. However, as this blog illustrates, his knowledge of birds extends well beyond game birds. Life on earth depends on water: this is particularly significant in watery New England where there are miles of Atlantic shoreline. And, the landscape is punctuated by numerous marshes and fresh water ponds and lakes carved out by the glaciers thousands of years ago. Over eons many wildlife communities and species have evolved to depend on water. The adaptations of different groups of birds to exploiting water bodies for food are a good example of this. Shearwaters and petrels forage almost nonstop over oceans. Ducks and their allies possess webbed feet, while coots sport lobed feet, which facilitate paddling, swimming and diving for submerged aquatic vegetation, fish, mussels and other foods. Grebes and cormorants forage underwater. 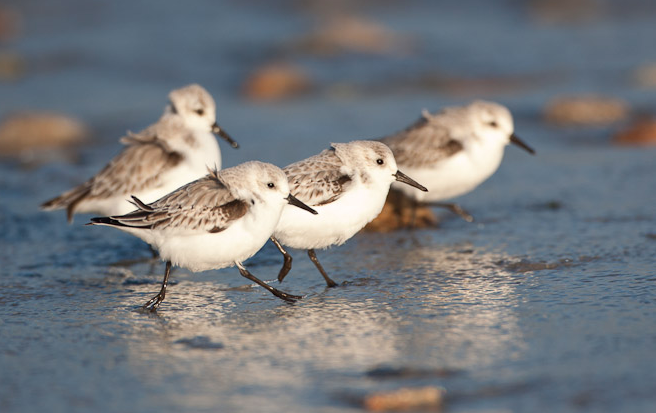 Shorebirds forage on along the interface of water and land. 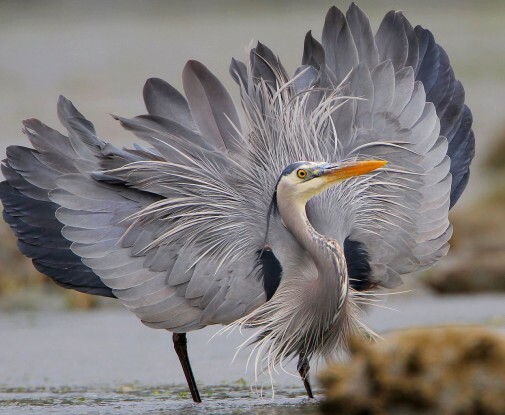 Another group of birds adapted to life with water is the long-legged waders – the herons and egrets – which often hunt in shallow water. 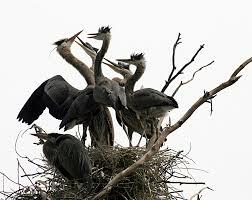 Most of these nest colonially, in groups. Their diet is primarily animal matter. They have prominent bills with which they adeptly feed on fish, frogs, snakes, crustaceans, insects, and more. 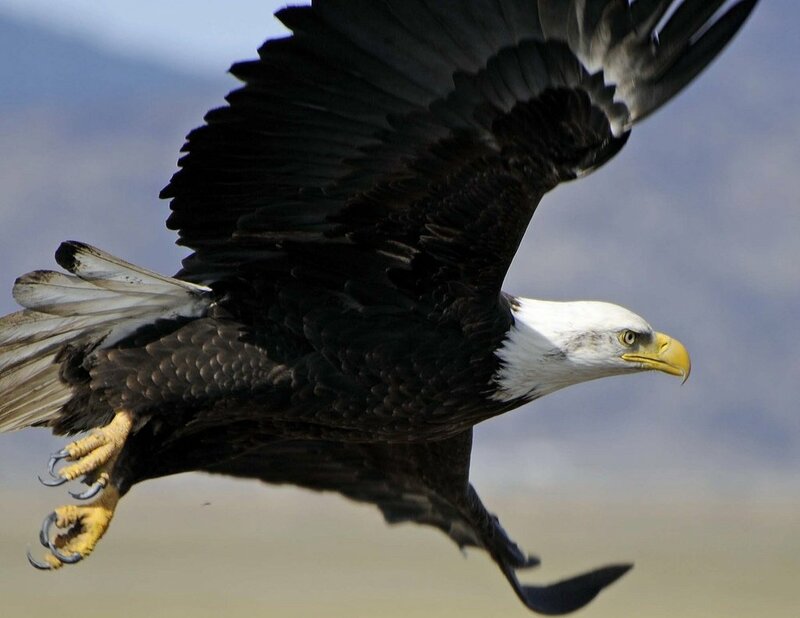 An identifying feature in flight is their habitat of pulling their heads back close to their body, so their neck is in an S shape. Historically, some of these species suffered from exploitation at the time of year when they are the most elegant – the breeding season. Their plumes were sold for adornment on women’s hats. A large and mostly grayish one is the great blue heron. They are frequently seen in New England standing in water or flying and usually forage singly. They nest in colonies of at least several and build a large, bulky nest of sticks. The begging of nestlings at feeding time is a big commotion. And their droppings underneath nest sites create an olfactory and water quality impact. They are widespread and appear to have increased in abundance since the mid 1960s. A rival in size to the great blue heron is the great egret, which is almost all white. They also forage singly. They are identified by their yellow bill but distinct black legs and toes. They mostly inhabit coastal wetlands in southern New England. 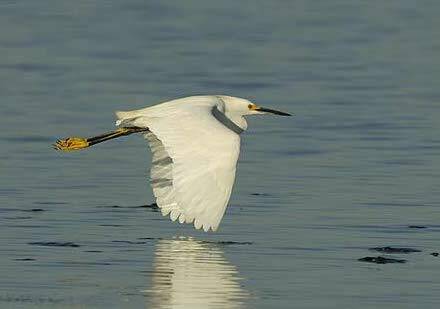 The snowy egret is white and slightly smaller. They forage more actively than the great egret. They have a black bill and legs, but yellow toes, comparable to our feet. They inhabit New England coastal areas. The American bittern is usually secretive, but has a distinctive vocalization, which can give away its whereabouts. It has prominent stripes on its breast. It is more common further north than the Plymouth area. It often nests in cattail marshes. There are two species of night herons, the black-crowned and the yellow-crowned. The black-crowned has a black head crown and back. The yellow-crowned has a white crown and cheek. Immatures of both species are dark and mottled. They are named for their habit of occasionally foraging at night as well as during the daytime. In New England both mostly nest locally in pockets along the coast, but may disperse after the breeding season. Dorie Stolley related an interesting local anecdote. 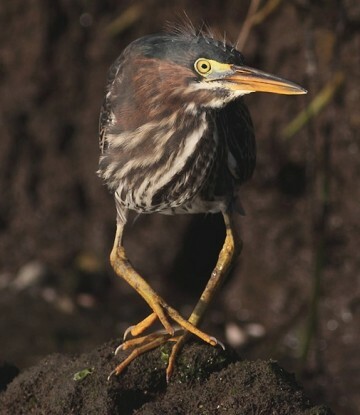 Apparently common tern chicks on Long Beach are falling prey to black-crowned night herons that are plentiful at Jenney Pond Park in Plymouth. The glossy ibis is a very dark purplish color wetland bird with a prominent decurved beak. They are extending their range in New England, and are found mostly in coastal wetlands. I saw a flock of about a dozen fly over the osprey nest on Nelson beach recently. The little blue heron is about the same size as the snowy egret. Adults are purplish, but juveniles are white for a couple of years. Local populations are found along the coast. The green heron is the small dark one with orange legs. Rather than nesting colonially as many of the other long-legged waders the green heron nests are spread out, sometimes away from water. They are widespread in New England, but do not appear to be very abundant. 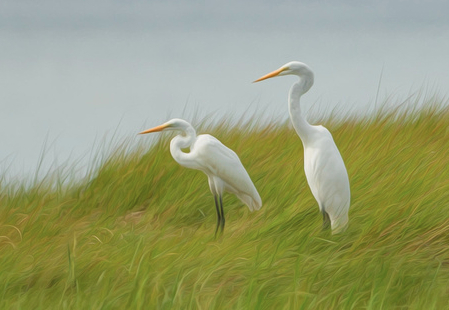 A rare one in New England is the cattle egret. They are small and have orange-colored feathers on their breast and head in breeding plumage. They are sometimes called cowbirds, which they are not. They made their way from Africa to South America, then to North America. The least bittern is the smallest heron. They are buffy colored, but secretive and hard to see. So, see which of these long legged denizens of the wetlands you can observe. Or even find a nest. Some are very obvious, and some not.